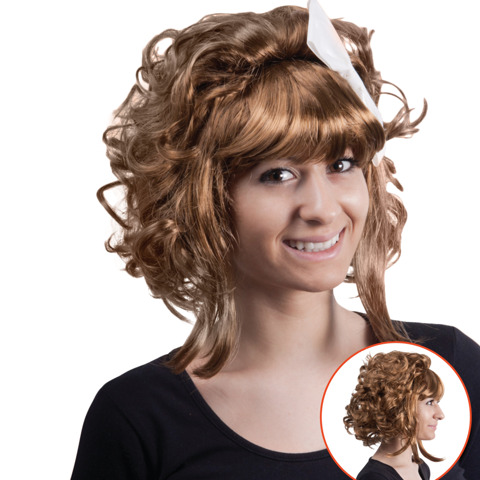 Wig Short Curly Hair W/Ribbon. One Size Fits Most. Light Brown. 100% Polyester. 123-131G Packaging: OPP Bag with Metal Eyelet and Insert.